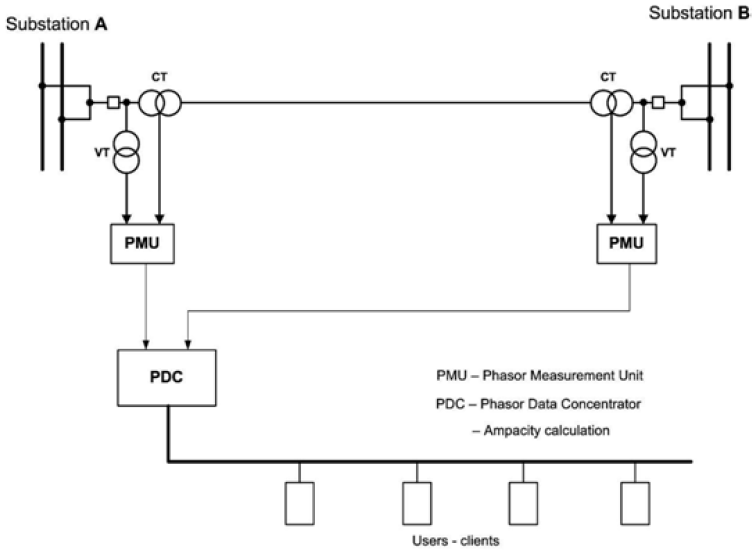 On-line measurement of voltage and current synchrophasors. Simultaneous measurement on both ends of electrical line in all three phases. Calculation of line parameters and their transfer to all relevant applications. R - conductor temperature, line sag, active loses. B - reactive losses, open circuit voltage. G - active losses, line quality. In-place measurement under continuous line operation. Evaluation of trend of changes in line parameters by repeated measurement. Better functionality of protection units. Higher precision in estimation and network computation applications. Higher precision in calculations of losses. There is need to break the electrical line during measurement process. Cost savings in preparation of measurement conditions. Minimum preparation time for customer. 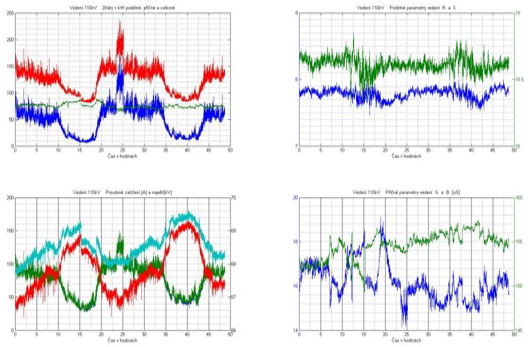 Possibility of repeated measurement under different load and atmospheric conditions with consequent time-based analysis and evaluation of changes of line parameters under various conditions. MS Excel® - based multistage data processing. Automated data filtering and sorting. Embedded library with functions for various asym-metry models. Charts for better data series filtering.